Wear plastic gloves while handling the jalapeños. Cut the jalapeños in half from top to bottom, but do not cut right through - keep the top part with stem intact. Use a teaspoon and carefully scoop out the ribs and pips. 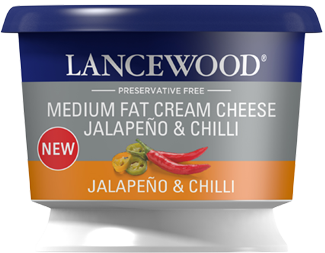 Mix the LANCEWOOD® Medium Fat Jalapeño & Chilli Cream Cheese and grated LANCEWOOD® Mature Cheddar together. Stuff into the jalapeño. Press together to close. Dip the jalapeño in milk and then in flour. Leave to stand for 10 minutes. Dip in milk again and then again in flour and leave to stand for another 10 minutes. 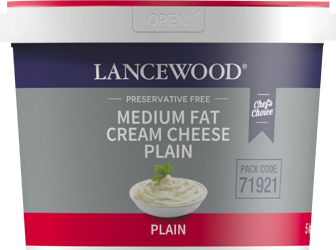 Dip in milk again and then in breadcrumbs. Repeat and leave to stand for 10 minutes. Heat the oil and fry the jalapeño poppers until golden - about 2 minutes. 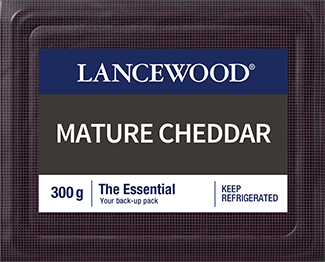 Remove with a slotted spoon and drain on absorbent paper.